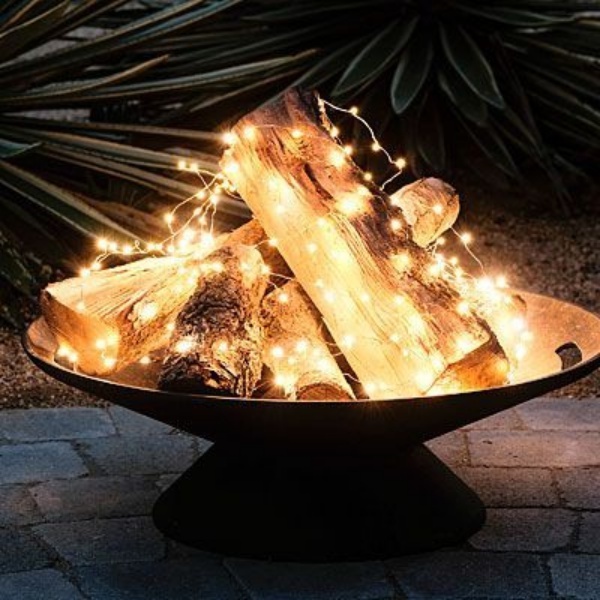 Festivities are those times when people take a complete time off to disconnect from the fast-moving world and spend some quality time with family and friends! 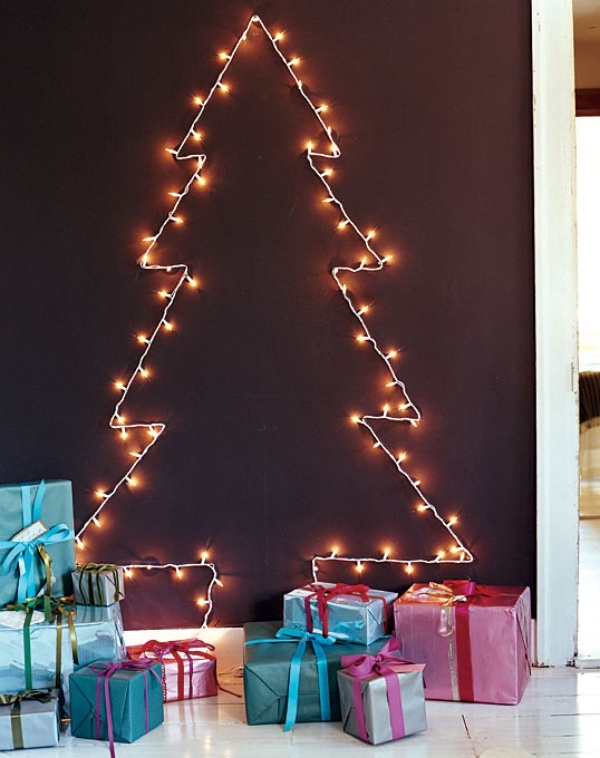 So, now that you have thought and invited everybody to the house party, it’s time to get going and decorate your house! 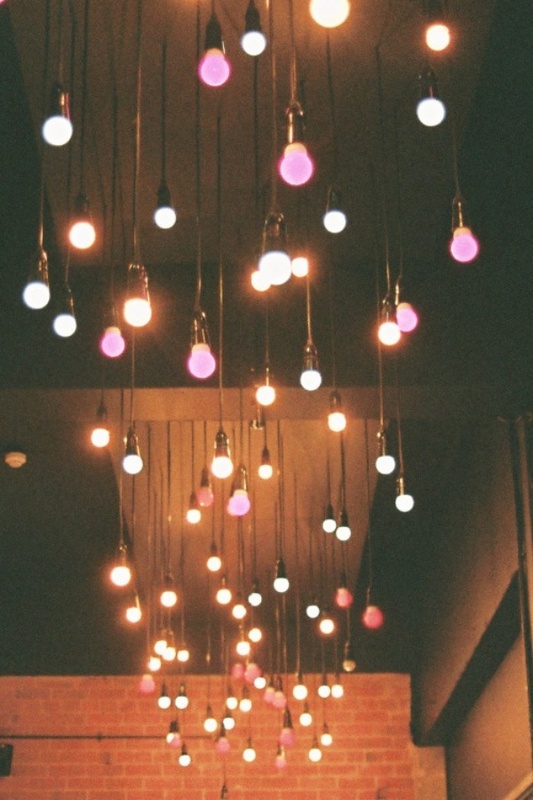 But, you don’t want the old school lighting and decoration and are craving for something really beautiful? 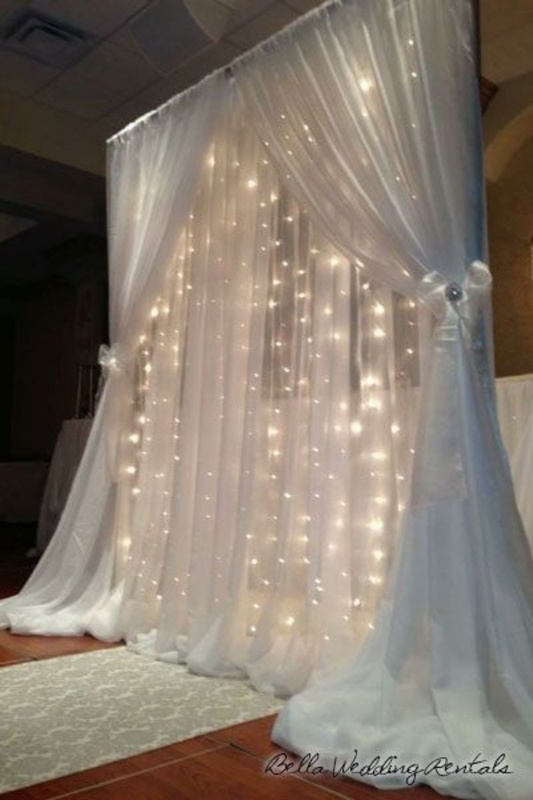 Then trust me, there is nothing more beautiful than String light decoration.Also, There are more decorative ideas which They are pocket-friendly and can be used for any occasion, all themes. 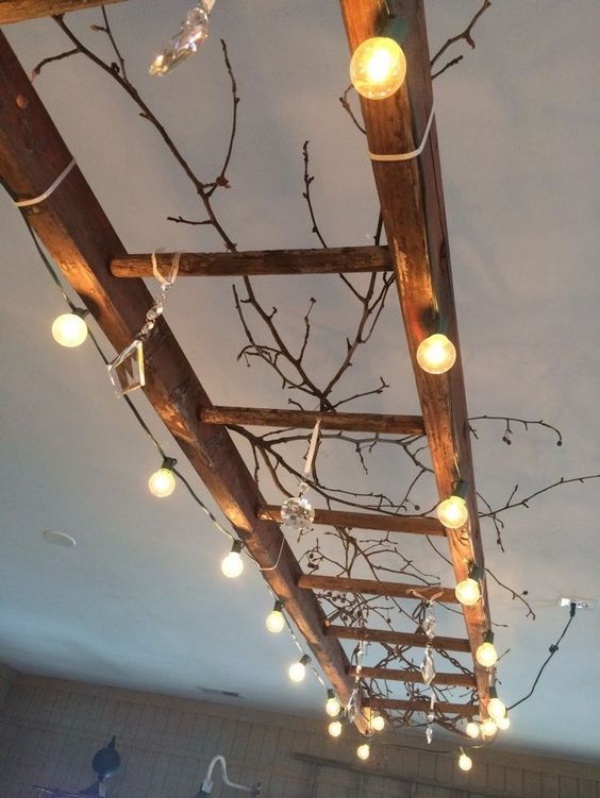 All they need is some electricity to light up the whole room! 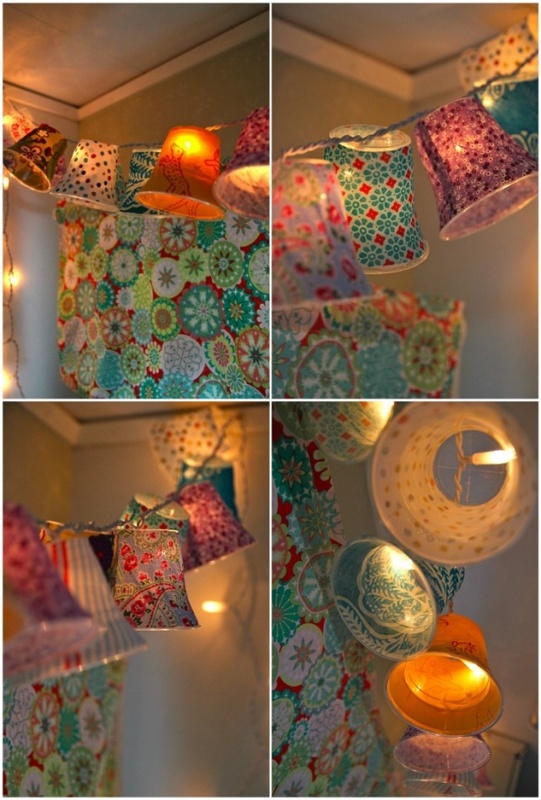 Now that you have enough ideas of what you can do with string lights, why not actually trying some DIYing with them? The great idea isn’t it? 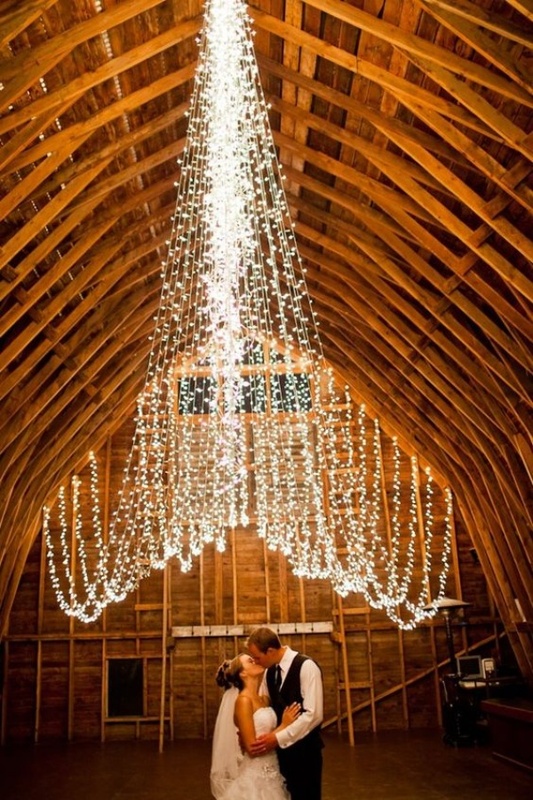 So, today, we present to you some Awesome DIY String Light Decoration Ideas For Any Occasion. 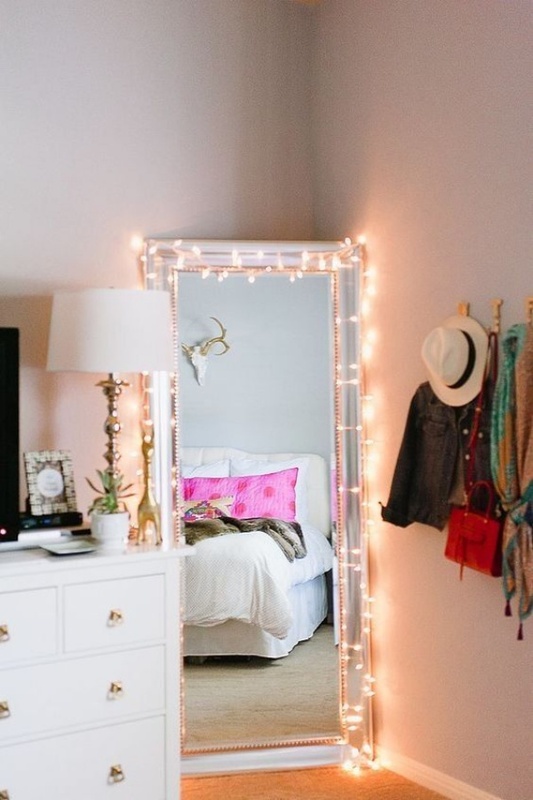 If you have some plain mirrors on the walls of your house, then turn it into something beautiful. 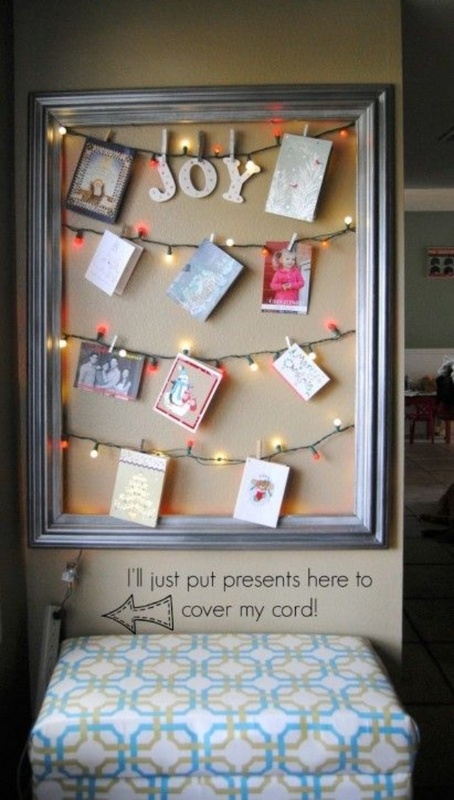 Adorn it with some string lights by the sides and the corners and you are all set to light up the mirror. 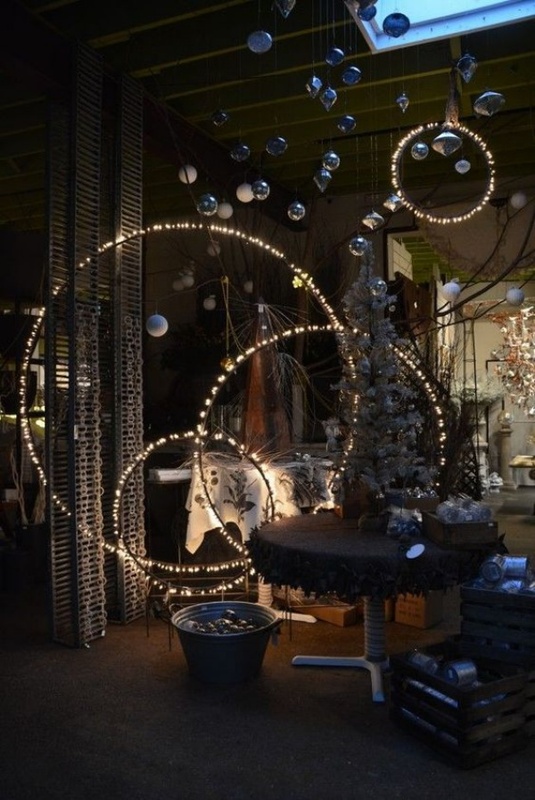 Dim the lights near the mirrors and see the effect it gets. 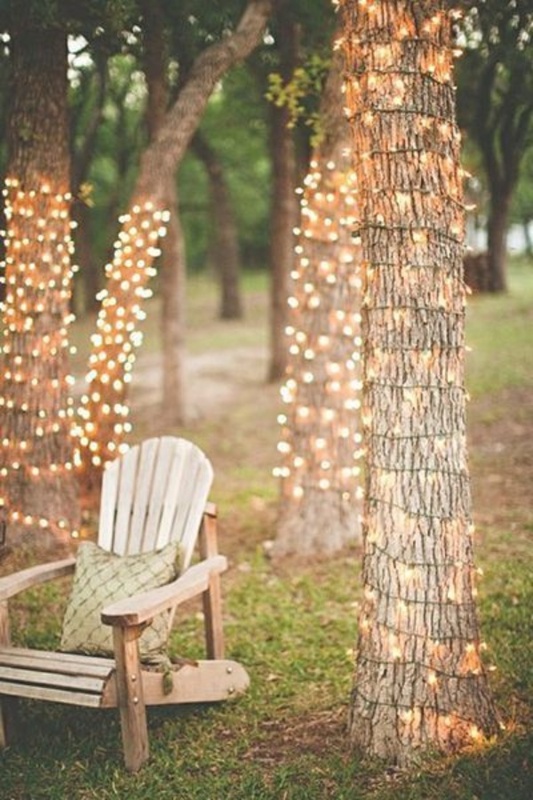 Make a tree with string lights. 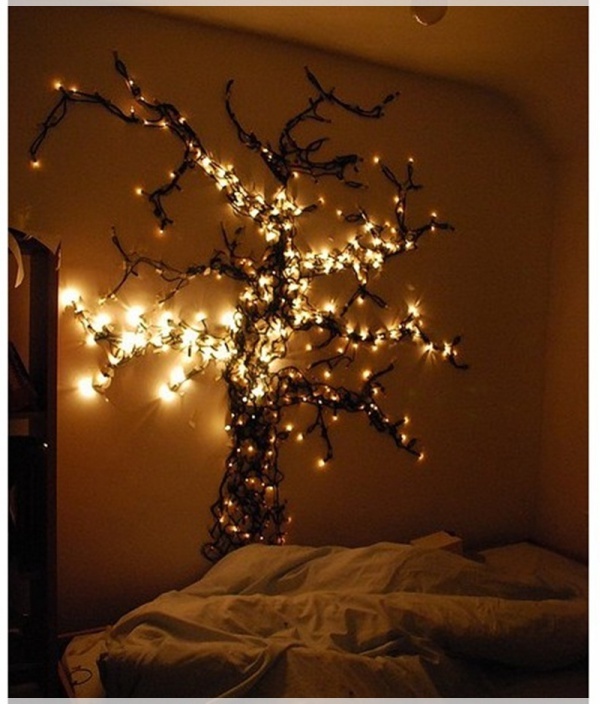 Use the wires only as the base and stick them properly across the wall in the form of tree – which has lots of branches. 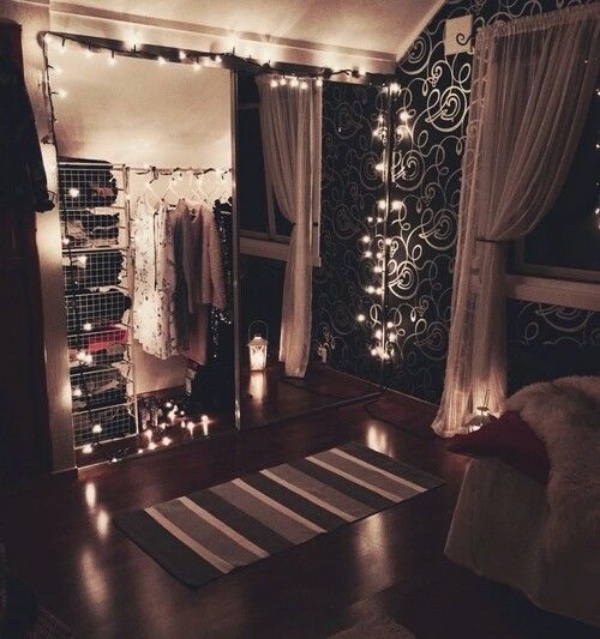 Now, switch on the string lights and see the amazing glow it brings to the whole room. 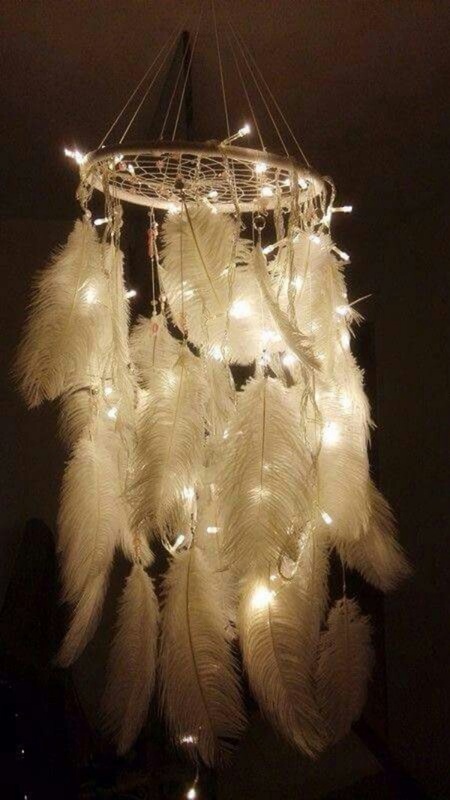 This Awesome DIY String Light Decoration ideas for any occasion is my personal favorite. 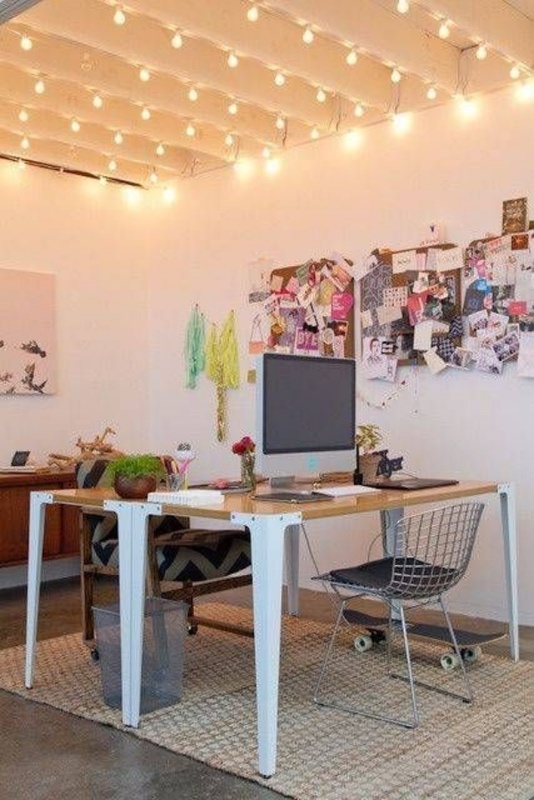 Choose that empty wall on the sides of your bedroom and get started. 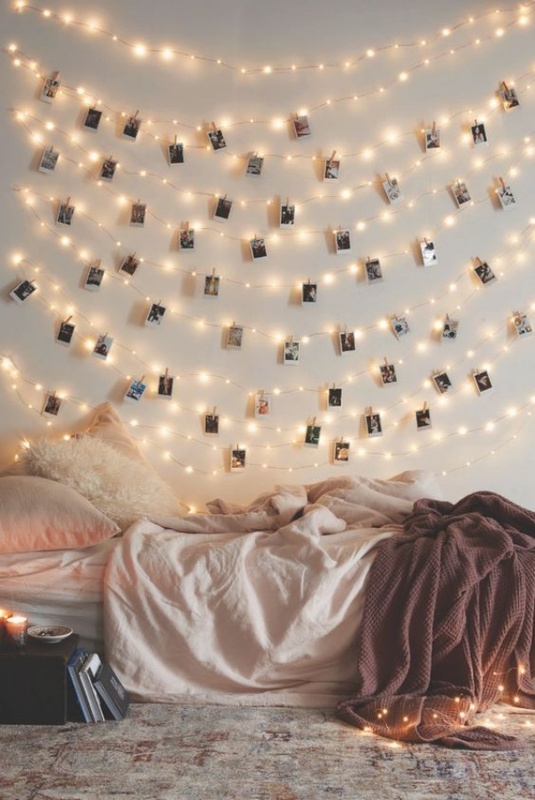 First, put the string lights in a way that you can hang things from it. Start from the top corner and come down all the way. 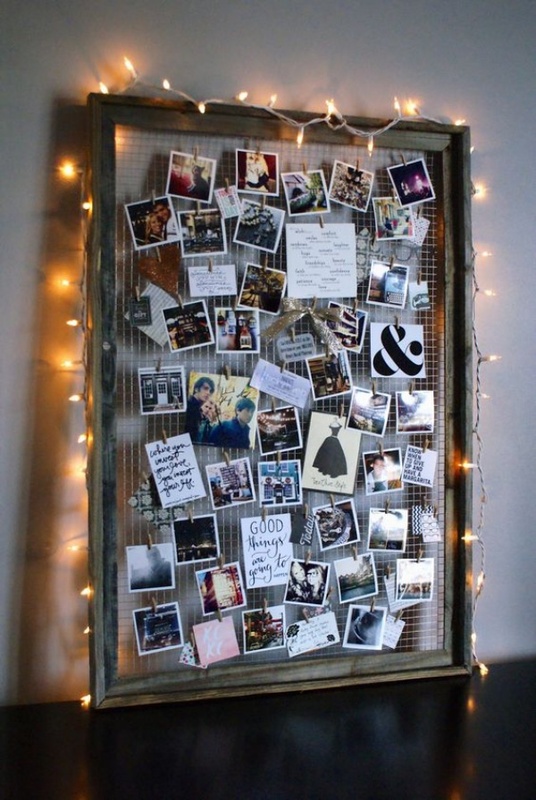 Now, take clothespins and hang your favorite photos on the wires of these string lights. 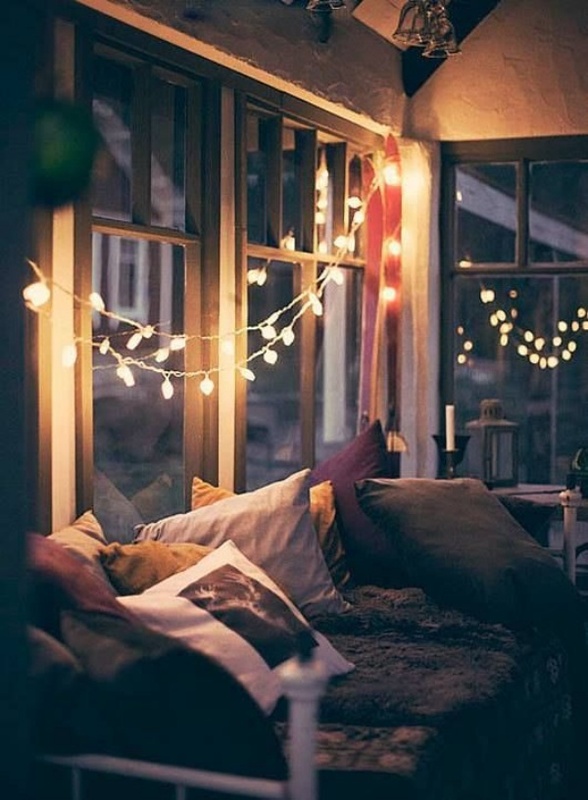 Switch the string lights on and off the other lights in the room. 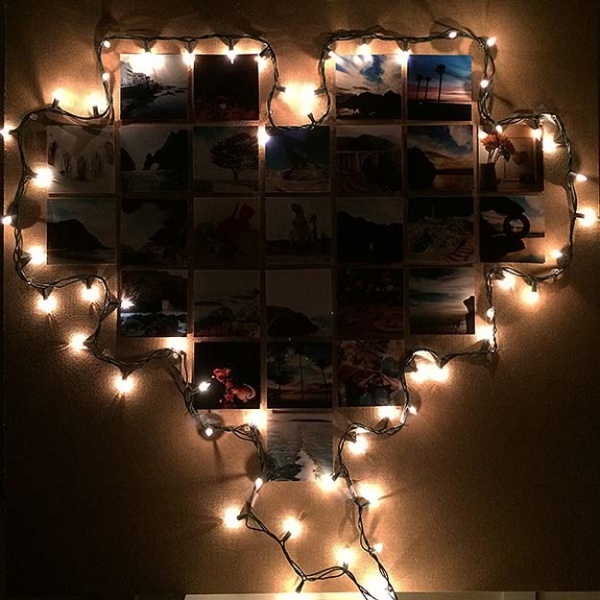 If you are a creative person then string art is a great medium to show your creativity. 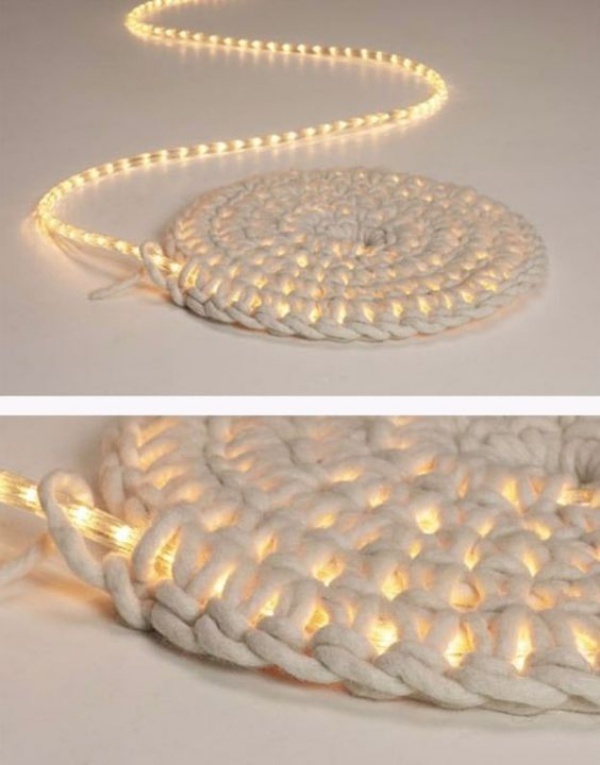 You can make almost anything out of string art patterns and that looks amazing at the end. 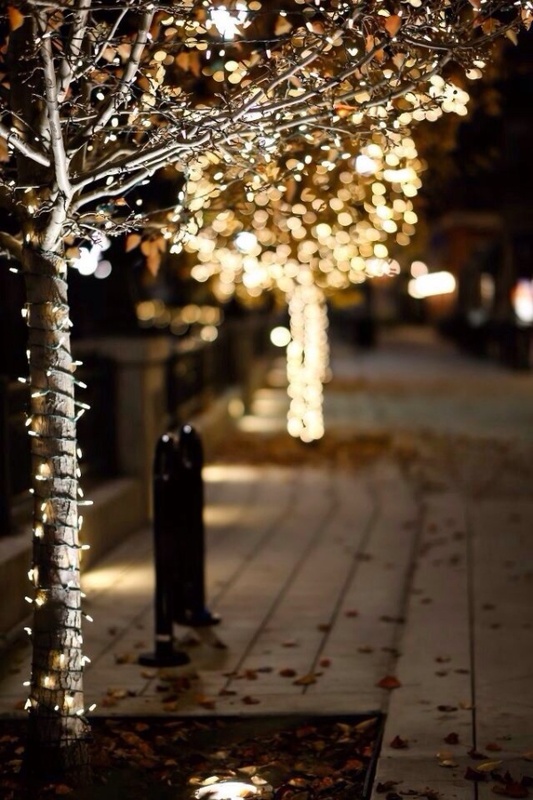 Take a rope and wrap it loosely around the string lights. Now, hand the rope as and where ever you like. Why ropes? 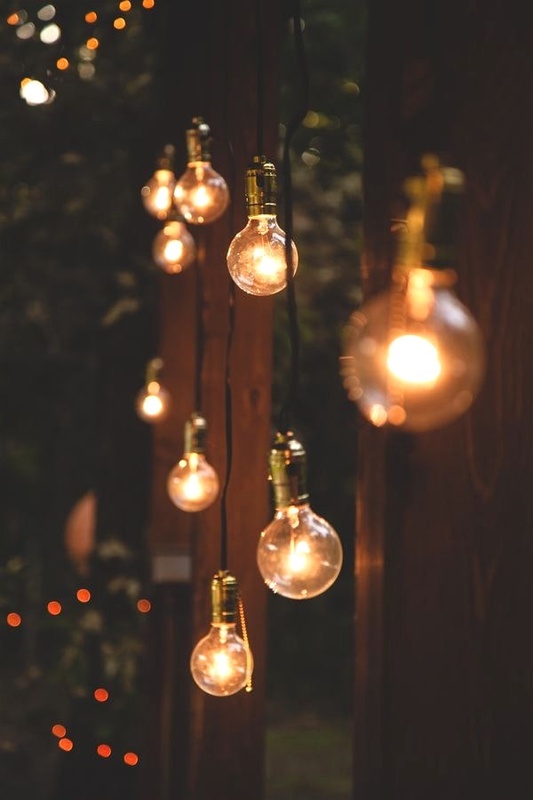 Because it will give a thicker and bulkier look to your Awesome DIY String Light Decoration ideas for any occasion so that you don’t have to worry about hanging them at places where it might fall off. Plus, the ropes get that extra effect. 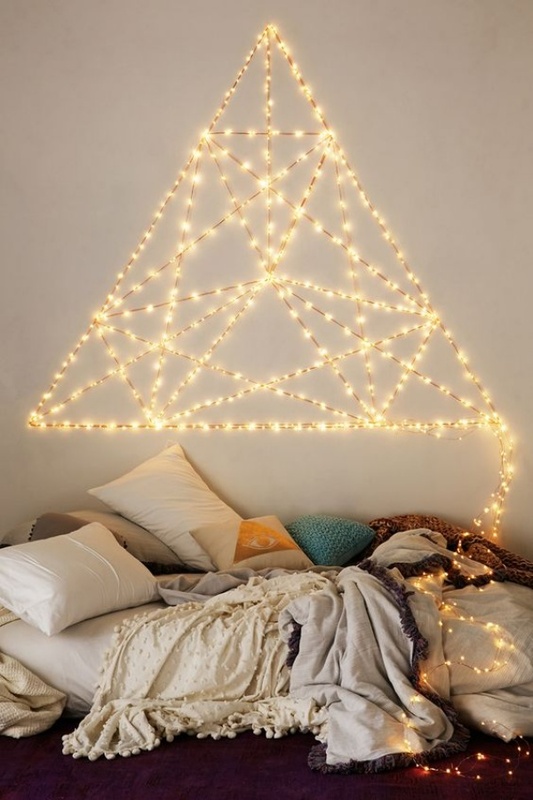 Take those decoration nets and wrap the string lights around it. 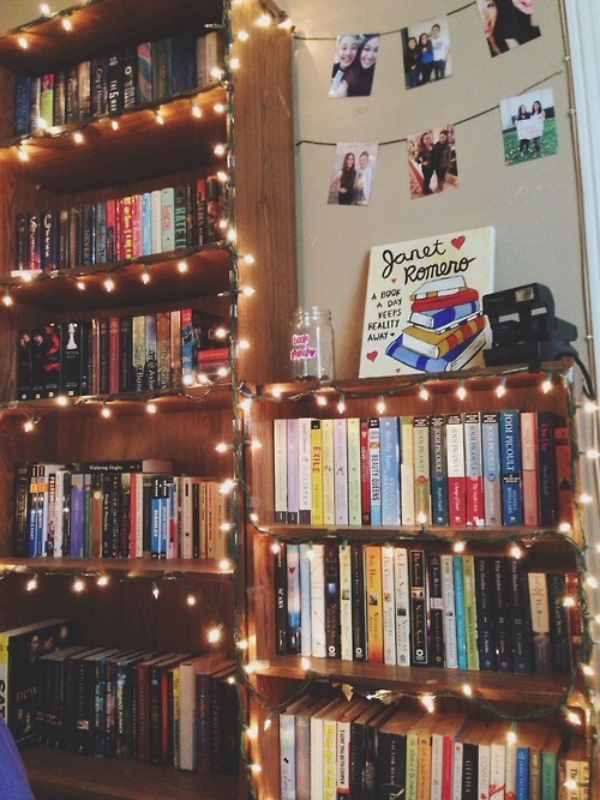 Now, out this entire thing around the bookshelf and switch off all the other lights. 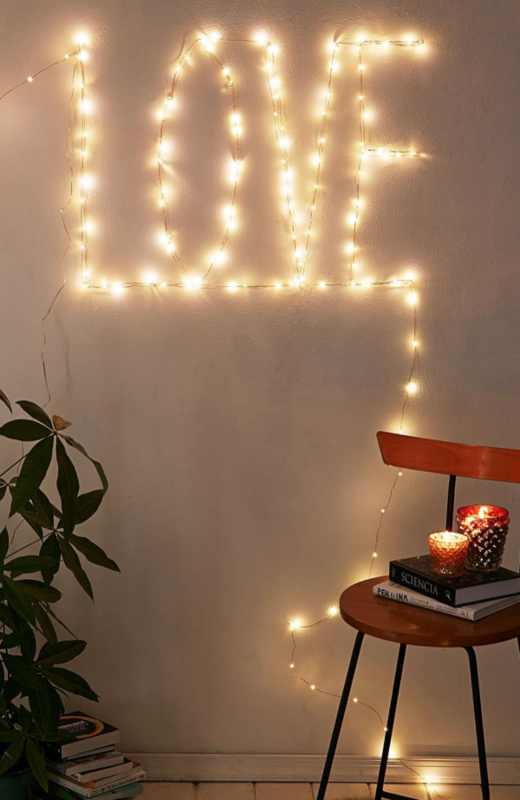 With these Awesome DIY String Light Decoration ideas for any occasion, people who don’t like libraries will also start entering in, all thanks to the beautiful lighting. Take a paper and fold it diagonally from both sides. Now, do the same, to have 8 folds on the paper. Fold as per those lines to make it look like a semi cube. 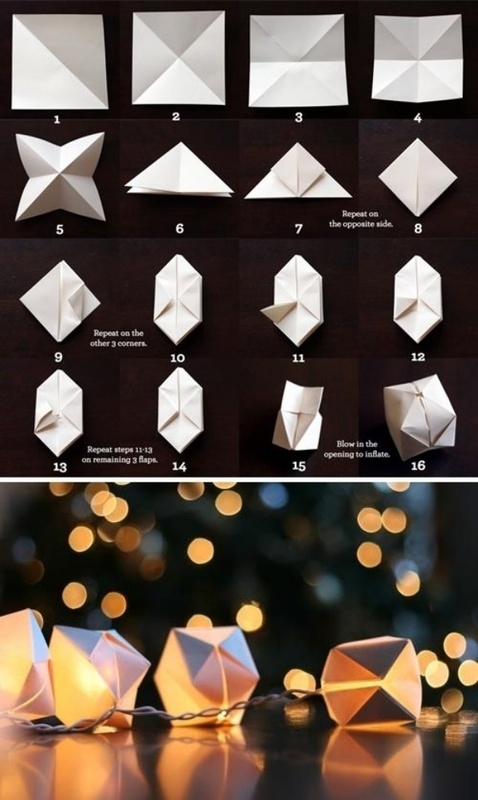 Next, fold half the paper inwards and repeat on the other 3 corners as well. Now, repeat this on all sides, till a perfect cube comes. 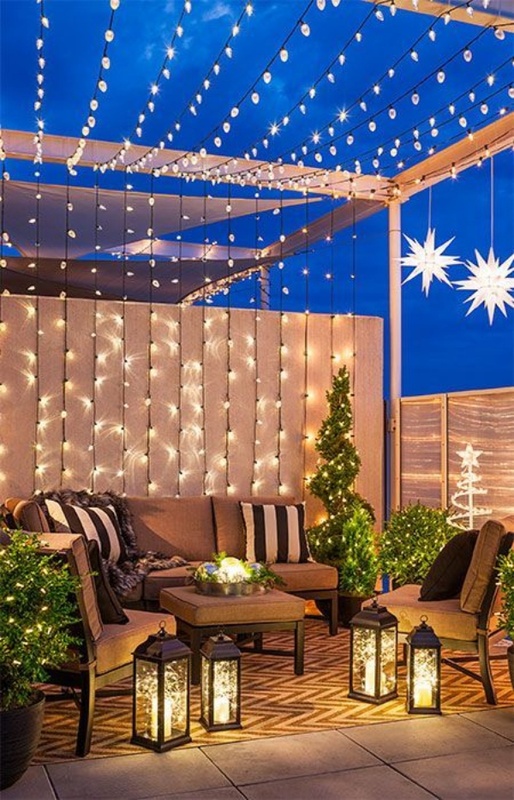 Attach all these cubes to the string lights and hang it around the house. 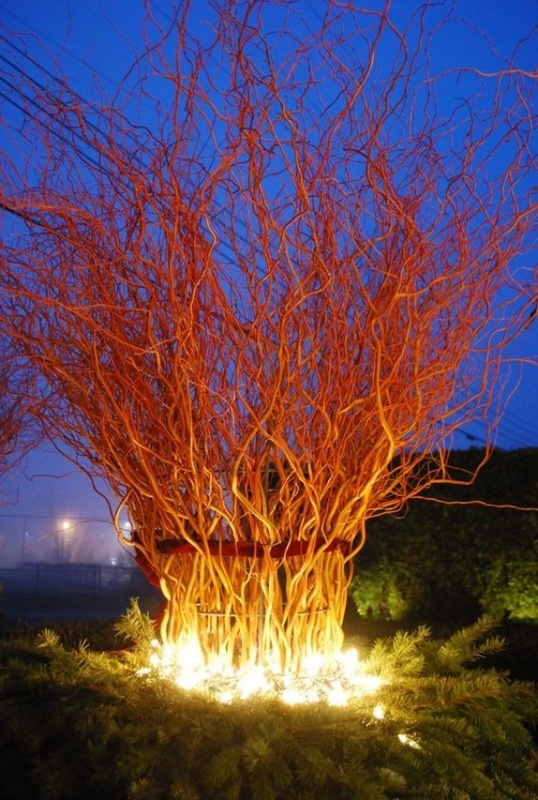 Convert those boring baskets into something new and beautiful. 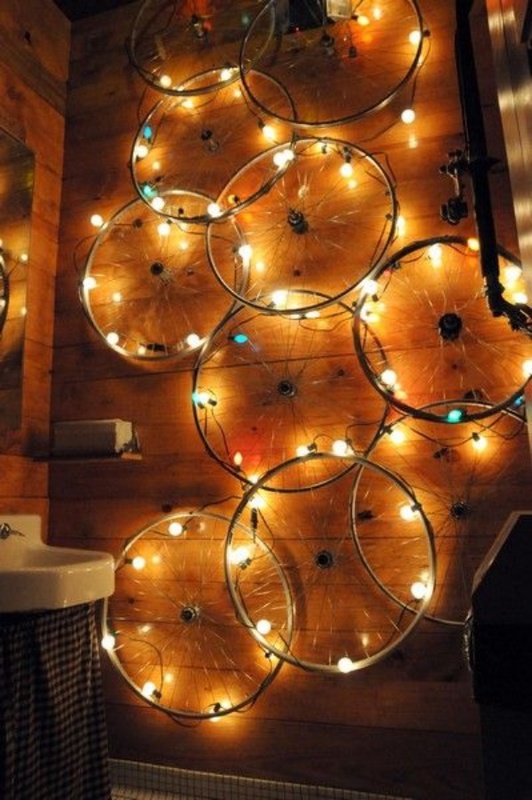 All you need is some colorful string lights that you will wrap around the baskets neatly. 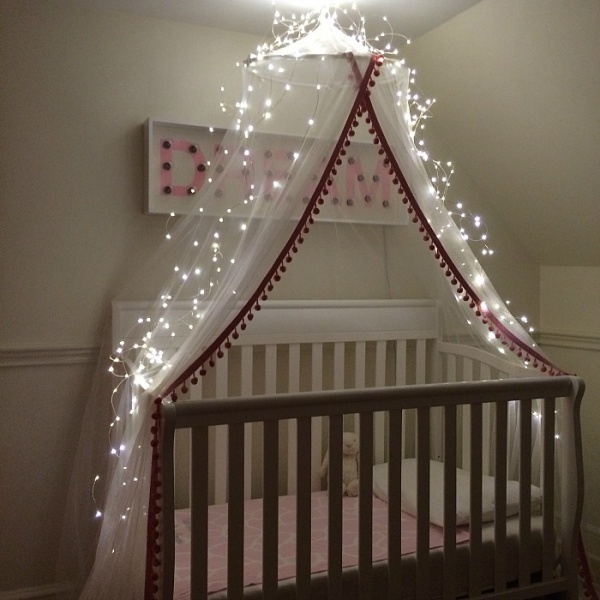 If you think they may fall off when something is placed inside the basket, then stick the string lights with cello tape. 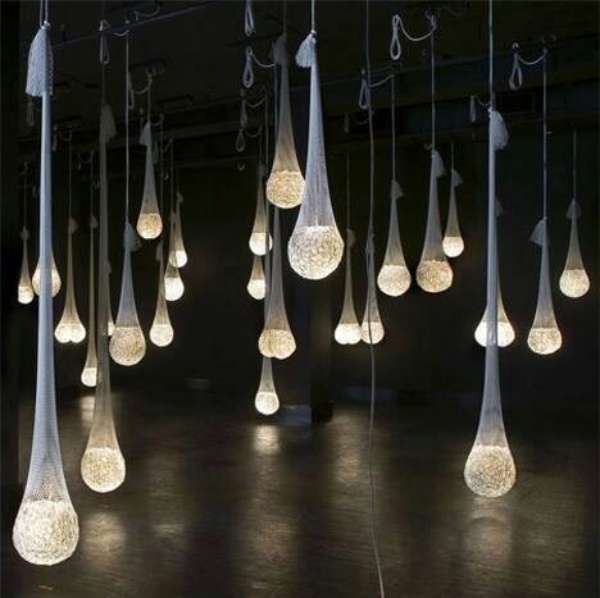 Have loads of empty champagne and wine bottles? 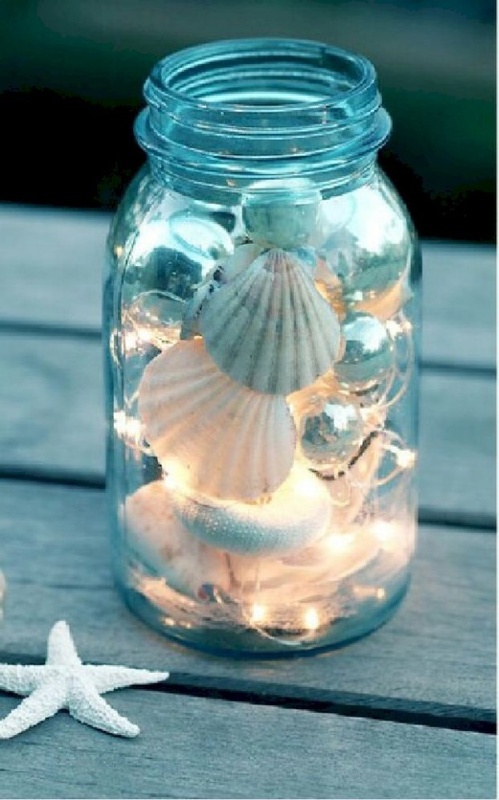 Create lamps, decorative items, and cute ornaments to simply lighten up your home with this cool wine bottle craft ideas.Just stuff the string lights in the bottle, hang the bottles with rope and let the lights flow in. 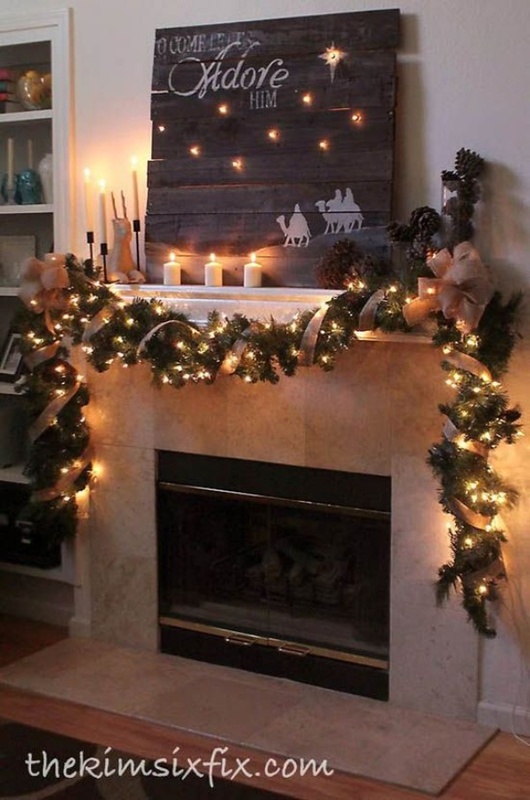 Do you need any more beautiful decoration ideas? 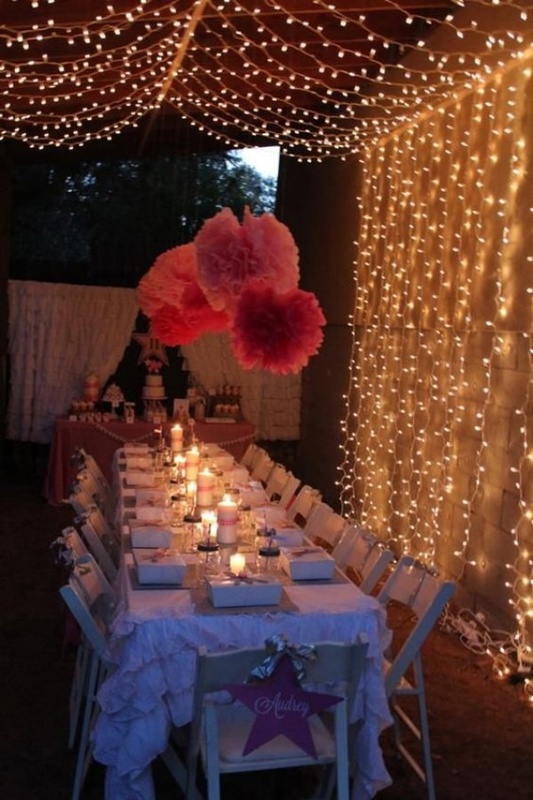 If you are afraid of the bottles falling off, just place them on a table display. 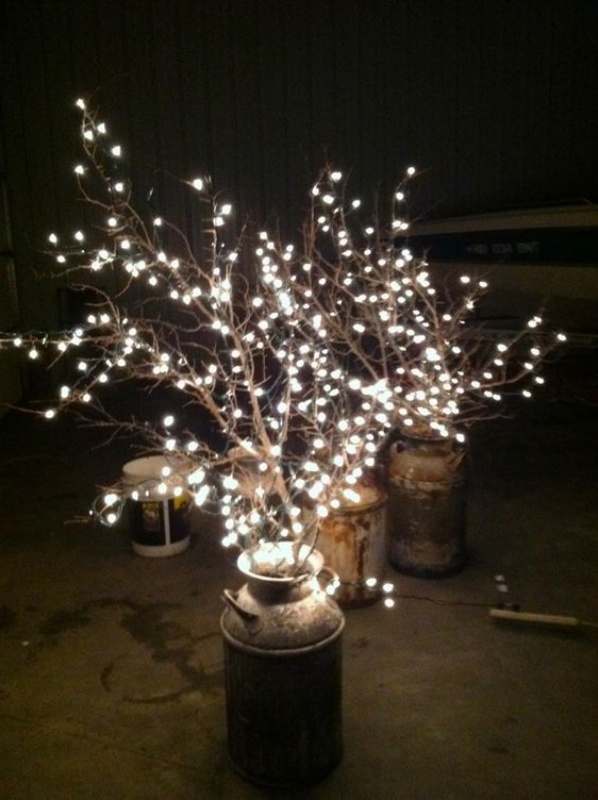 So now, do not worry about decoration ideas for any occasion at all. 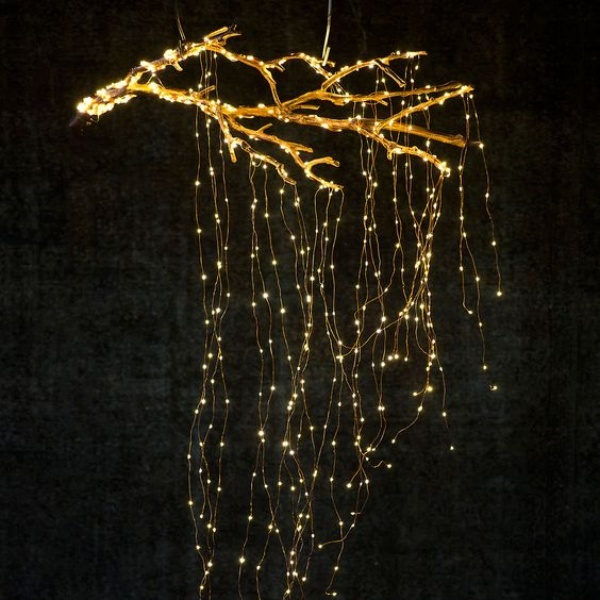 Just choose these simple yet Awesome DIY String Light Decoration ideas for any occasion and you are all set.